Sir Isaac Newton, English scientist and mathematician, c1700. Newton's discoveries were prolific and exerted a huge influence on science and thought. 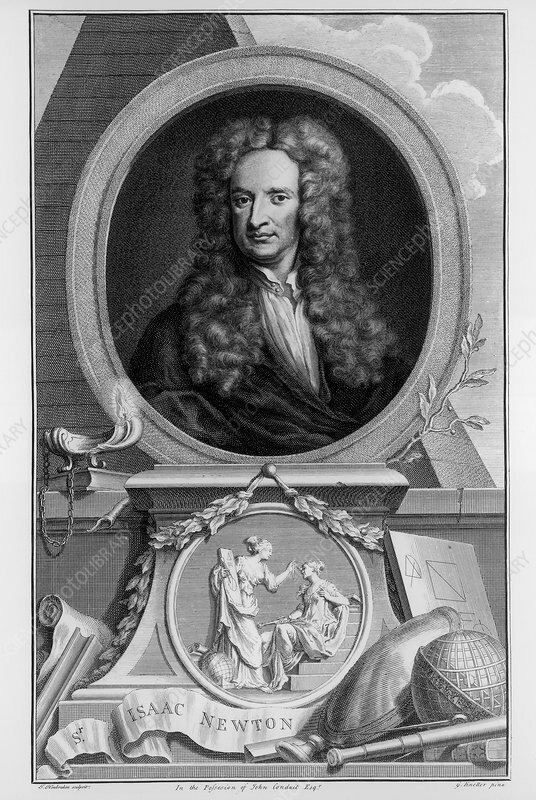 His theories of gravity and his three laws of motion were outlined in his greatest work, Philosophiae Naturalis Principia Mathematica, (1687) and he is credited with discovering differential calculus. Knighted by Queen Anne in 1705, Newton is buried in Westminster Abbey, London. Artist: Jacobus Houbraken.